In early 2015, the Ataraxia Company in Illinois posted job openings for 30 employees for its 50,000 square foot facility. 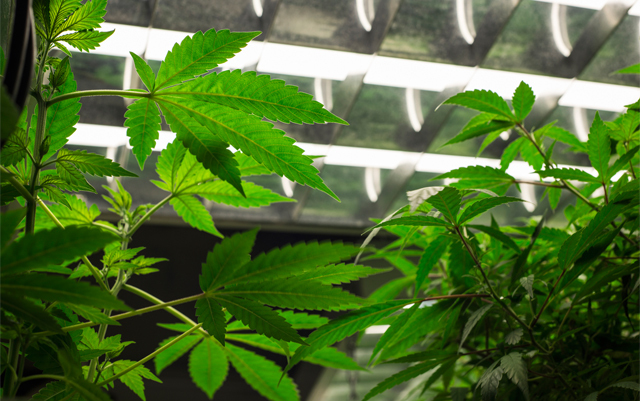 As a state licensed marijuana grower, they were flooded with hundreds of applicants, but growing weed on a large scale is a lot different than putting up a few lights in your basement, as many “illegal” growers in Illinois (and throughout the U.S.) have done for years. And the need for botanists with specialized training in cannabis became very clear. As the legalization of marijuana and hemp continues, cannabis botanists are being called upon to research, test and teach potential growers about evolving strains and compatibility to soil. The sad reality that cannabis botanists are in limited supply could hit the nation like a ton of bricks. The genetic structure of cannabis may seem simple; really, it is anything but. According to Nolan Kane, an evolutionary biologist at the University of Colorado, there is little that is known about the plant’s basic composition. As both public opinion and legislation in many places shifts towards recognizing cannabis as a plant of medical and agricultural value, the genetic characterization of marijuana and hemp is becoming increasingly important for both clinical research and crop improvement efforts, according to an article from the U.S. National Library of Medicine National Institutes of Health (PMC). In addition, botany as a whole has not kept up with the rising demand of biological diversity, says the UN. Specific areas of study, such as cannabis sativa, are not even addressed in this white paper, driving the shortage of botanists even higher. It takes 4 years to receive a Bachelor of Science in Botany that addresses plant genetics, soil types and field botany. Additional training is necessary for areas of research and development. One organization, Cannabis Genomic Research Initiative (CGRI), was created in 2014 to address the uncovered mysteries of cannabis, a move in the right direction, but not nearly enough. The world simply does not have enough botanists to do the work needed to hit the other targets (such as cannabis specialties). Botany & gardening may seem like genteel professions to some people, but highly trained and qualified botanists will be responsible for the future prosperity and comfort of our children, grandchildren, and even the future of our species.